tele was inspired by the peculiarity of quantum entanglement. 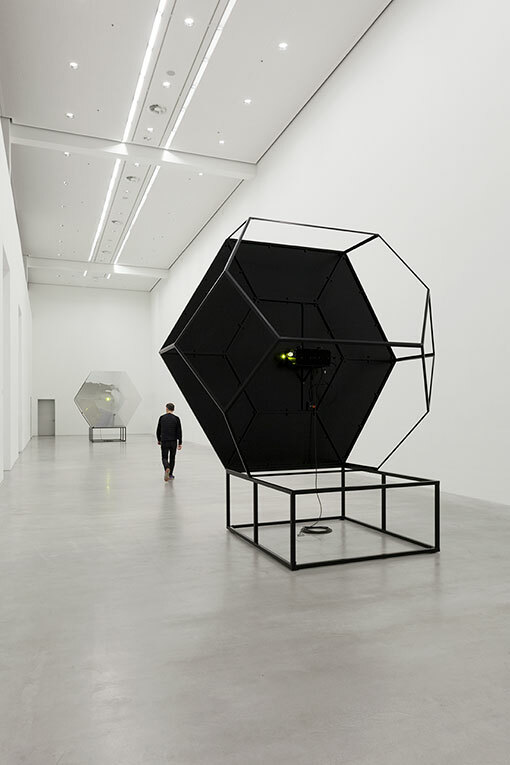 The installation’s title refers to how Einstein described the phenomenon with the term „spukhafte Fernwirkung“ (spooky distant effect), whereby two quantum systems a long way apart in space share the same state: two particles are interconnected with each other that any change in one has a direct, immediate effect on the state of the other, as if there was a „telepathic“ connection between the two. 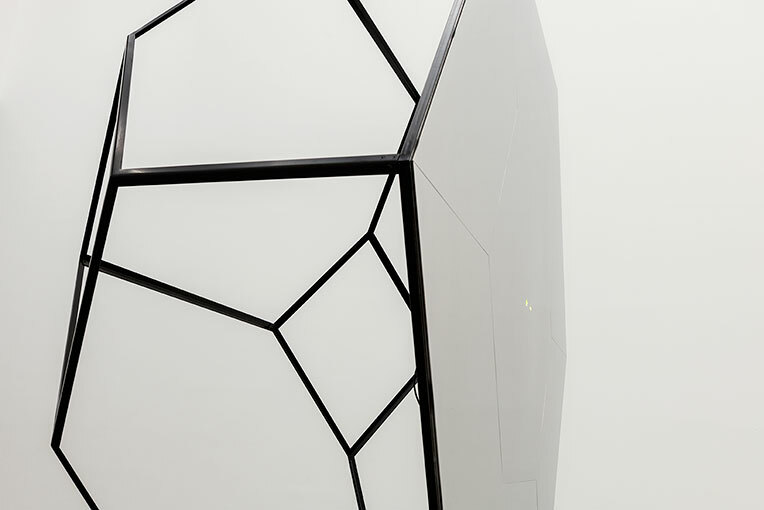 tele consists of two large-format mirror structures in the form of a divided Archimedean body that are „in contact“ with each other via laser beams. The beams strike photocells that send out impulses to re-trigger the beams anew. This sets up a kind of feedback system linking the two objects through the lasers to establish „communication“. The laser beams dominate and define the exhibition space. Electromagnetic waves spread at the speed of light, and are perceived by the human eye as a stable, straight beam, thereby achieving a sculptural quality. Whilst the mirrors create the impression of an infinite continuity of the rays, as if a separate, alternative universe emerges – an autonomous system created by the artist. 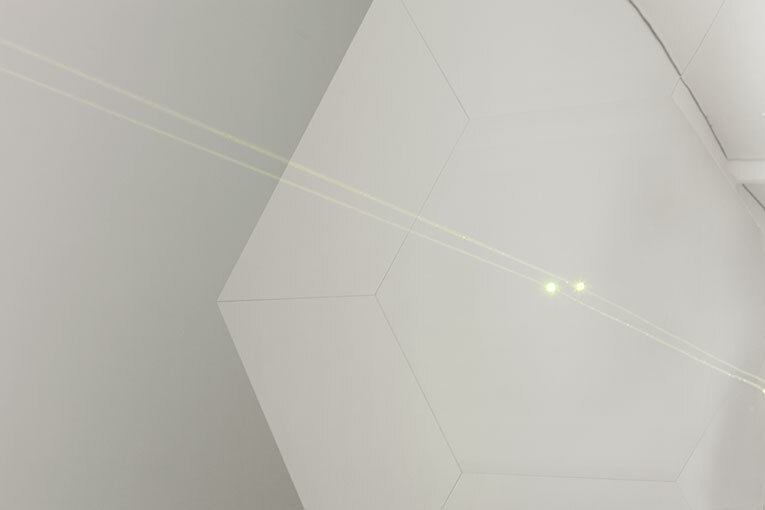 The laser beams can be perceived differently from various points of view, and changing perspectives on the sculpturally formed mirrors allow a variety of images to be created.